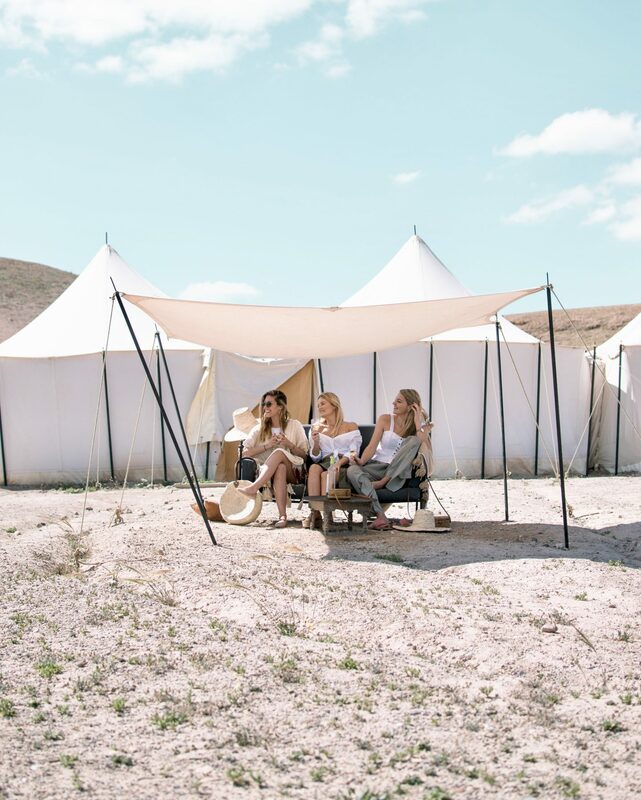 Chances are, by now you have heard about the concept of glamping. It’s the idea of camping in luxury style or ‘glam-camping’ under the stars. 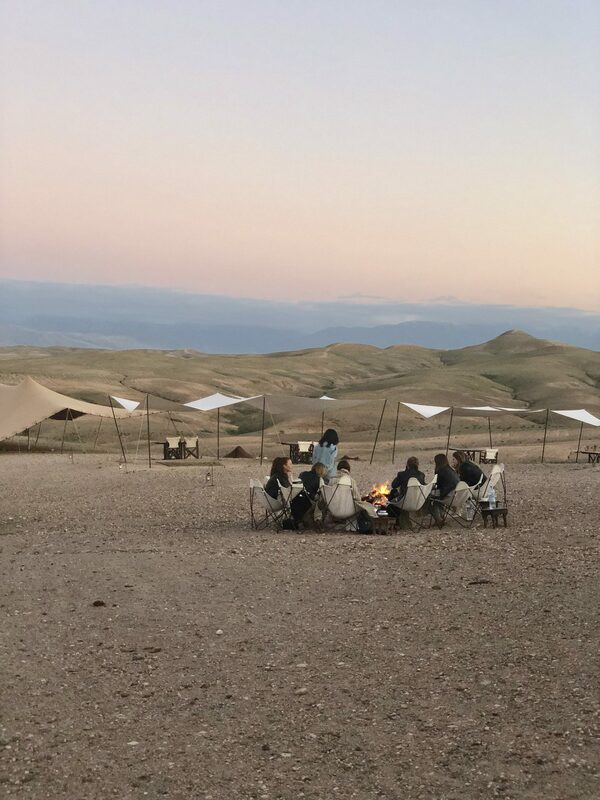 This type of camping is particularly geared for those who want the experience of camping but with the luxury of a having most things you would never find at a traditional campsite. Think toilets, running water, beds, gourmet food etc. To my husband’s disappointment, I am not much of a camper. 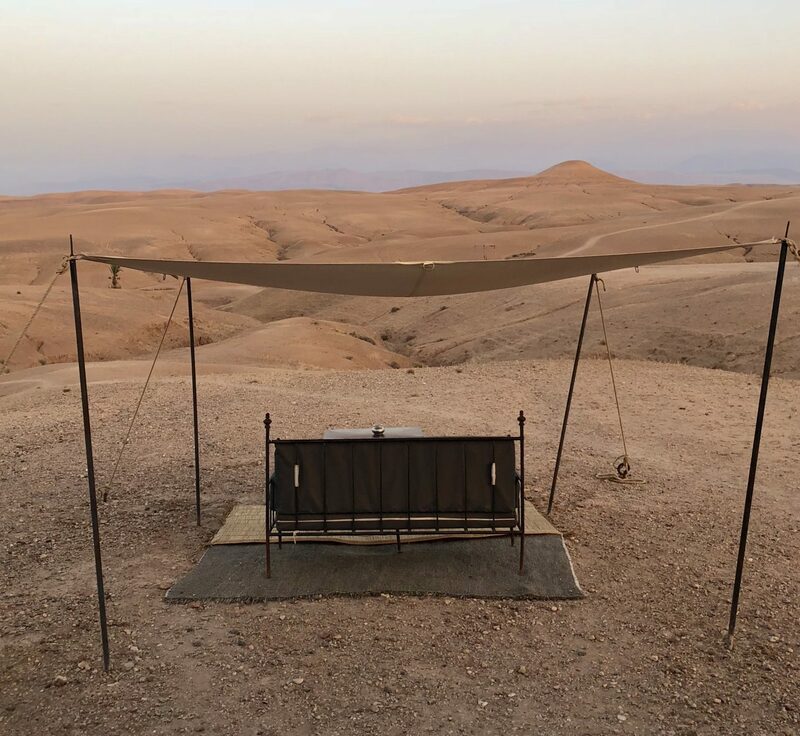 While I love the idea of sleeping under the stars and connecting with nature, the other things that come along with camping aren’t really for me. However, when I first heard of the concept of ‘glamping’, my interest was sparked. 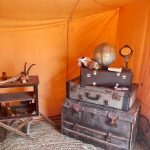 The adventure of camping outdoors with the luxuries of a hotel? I was intrigued to try it. It was a done deal when I came across Scarabeo Camp. Seeing photos of this place convinced me to try it. Something about the huge tents strewn across the desert terrain, paired with chic-nomadic vibes, really ignited my curiosity. 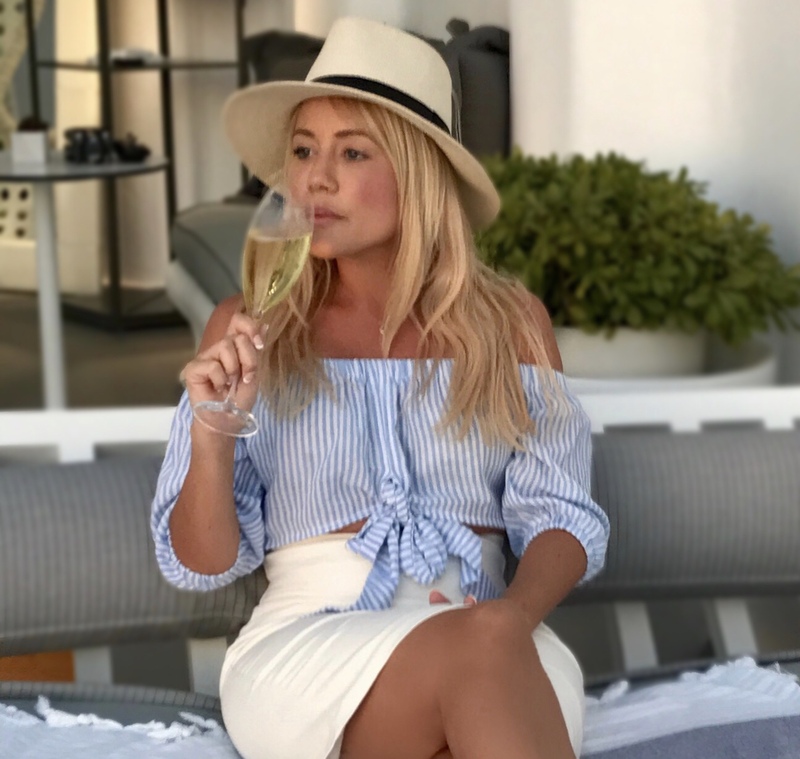 Funny enough, shortly after seeing it for the first time on Instagram, I was invited there for a girls weekend with some fellow bloggers. 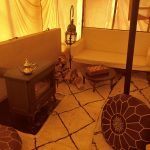 Not having been to Morocco yet and having a new interest in glamping, how could I say no? 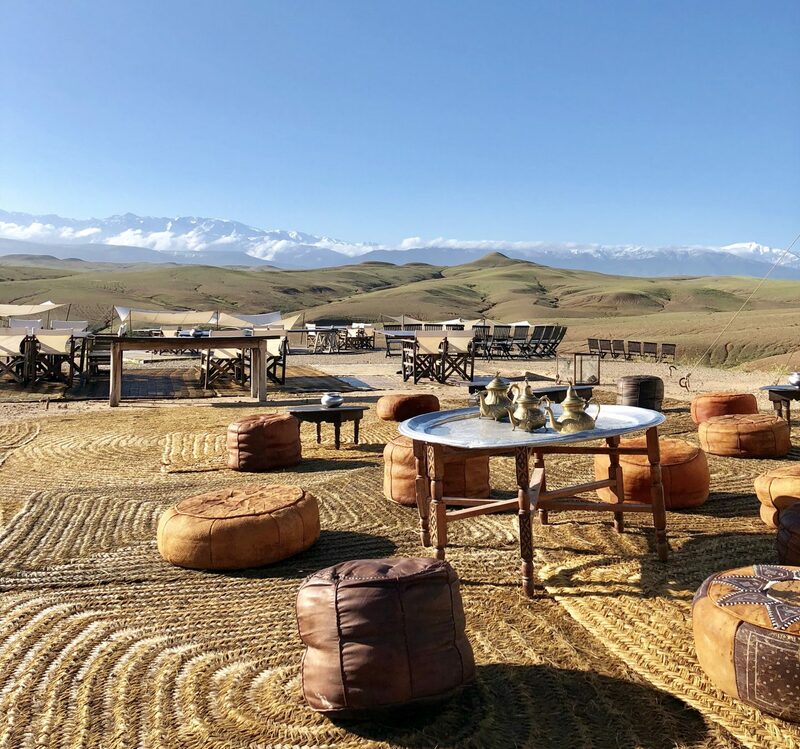 I eagerly agreed to meet @todayshetravels and @grabyourbagsnl for a weekend getaway at the mysterious African camp that caught my attention. 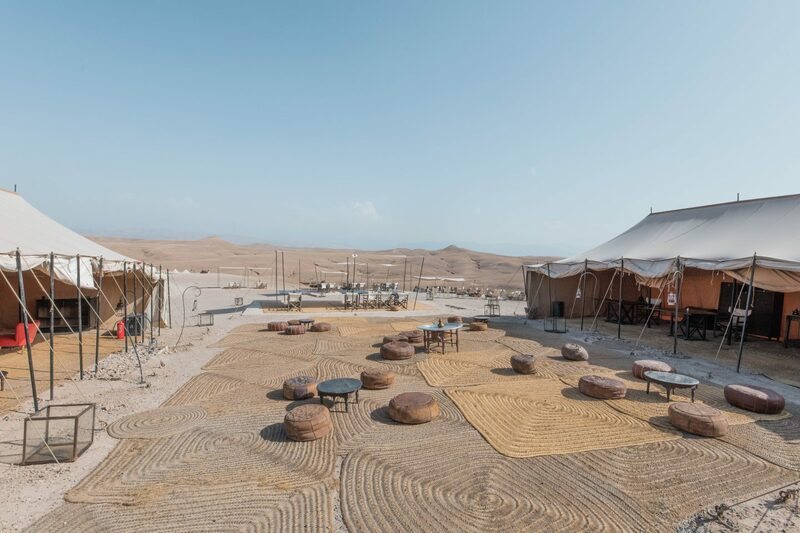 Having now visited twice, below is everything you need to know about this luxury desert camp. 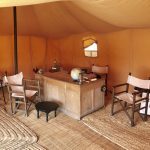 Scarabeo Camp is a luxury night camp located in the Agafay Desert 45 minutes from Marrakech airport. Not so obvious from photos is the fact that it isn’t a true sand desert. Rather it is golden rocky terrain or a ‘stone desert’ as they call it in Morocco. This actually proved to be quite nice as I didn’t come back with a ton of sand in my suitcase. The camp is on a large piece of land off a dirt road that feels like you are in the middle-of-nowhere. 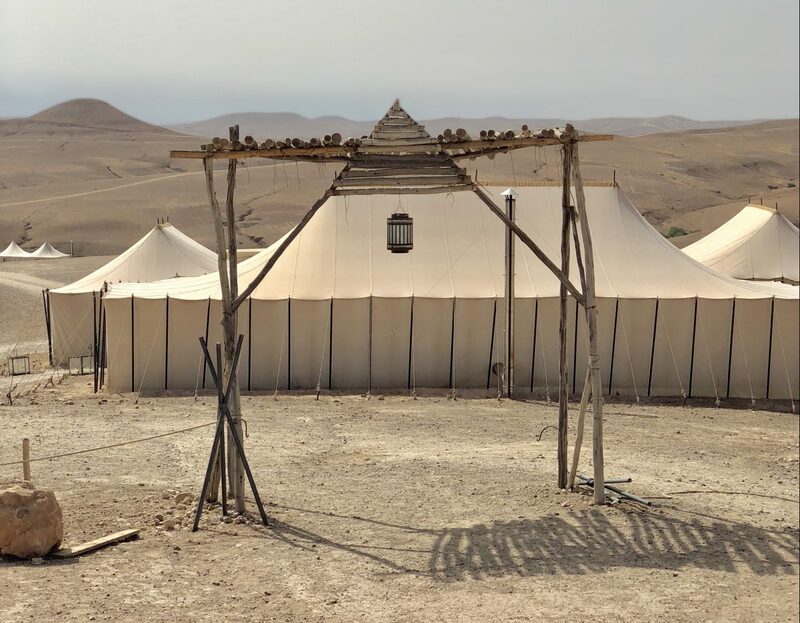 Each tent door is set up to face the barren land with the Atlas Mountains in the distance. There are 15 family style tents on-site, large enough to fit up to 3 beds, and several other tents used for communal guest space. Upon arrival, you feel a bit of a shock from just how little you all of a sudden feel here. Its almost blasphemy to call these tents. They are more like enormous hotel rooms with safari-chic decor. The tent is quite spacious and full of everything you need. 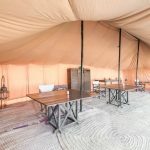 Each tent has a large cozy bed, a desk with a lamp, a rack for hanging clothes and a lounging area with seating and a table. It is all paired with Berber rugs and antique safari decor. The tent is so large that when I visited with the girls we each had our own double bed in addition to the other furniture. Off to the side, you will find a door to an adjoining tent for the restroom. It come complete with a toilet, sink, vanity and a shower. Outside the tent you get your own little ‘front lawn’ with a canopy and a lounger to enjoy the view. In addition to the personal tents, there are a number of other tents set up for guests. There are 3 large tents in the “lobby” area for seating, hanging out and having meals. There is also another tent area with toilets and a sink for hand washing. Having now been both in April and in August, the temperature difference is extreme and so is the camp. If I didn’t know better, I wouldn’t have recognized it as the same camp when I arrived in August. In April the camp is warm in the day (22-25 C) and cool at night (8-15 C). Being Spring, the terrain is far different from the summer. The hills are covered with green plants making for an almost moss-like desert. 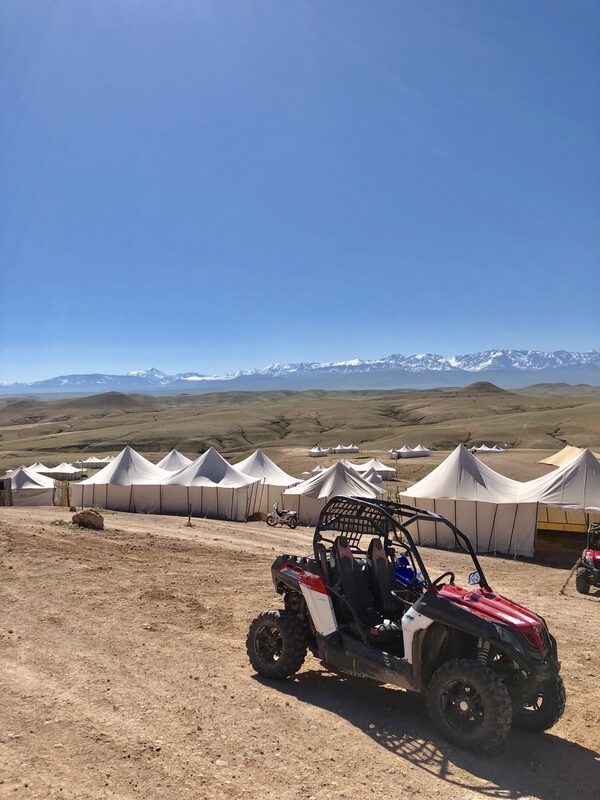 The air is crisp and skies are clear allowing a striking view of the snow-capped Atlas Mountains. It was really cool to see the mountains in the distance which I only appreciated after visiting in August. If visiting from December – April, be sure to bring warm clothes for the nighttime as it does get chilly. There will be fires and hot stoves throughout to help keep you warm. 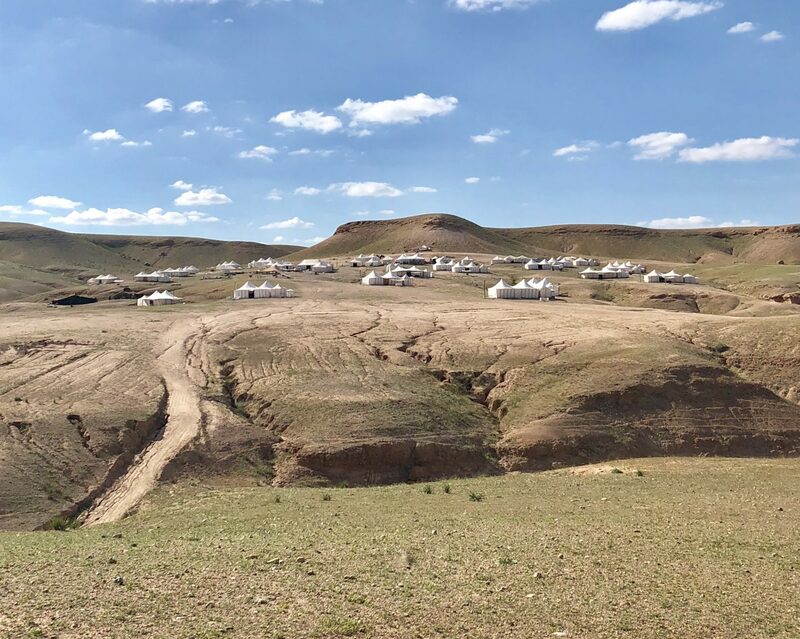 The Camp in April – Clear Skies! In August, it a completely different camp. The plants previously covering the land were now dead from the desert heat creating more golden looking hills. The summer haze is so thick that you can barely see the Atlas Mountains in the distance and if you could, the snow would be melted. 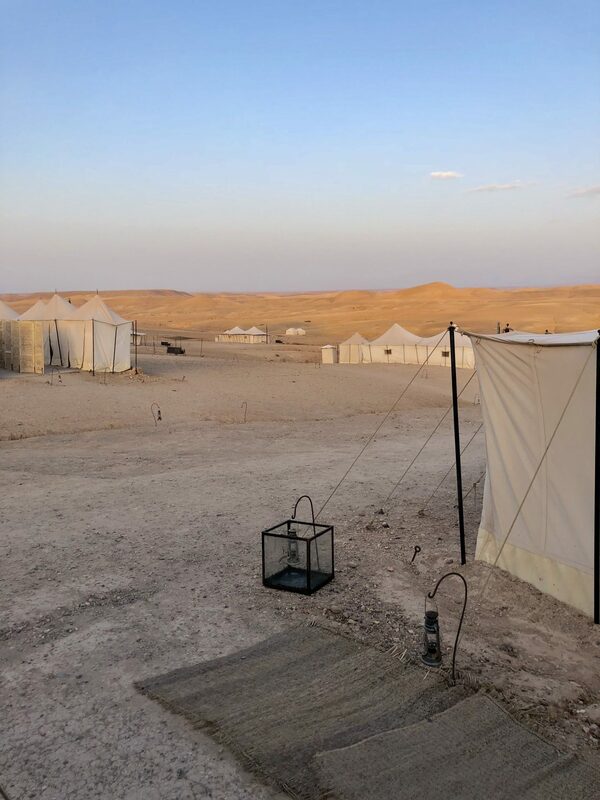 The camp certainly has more of a desert feel and a beautiful golden hue when visiting in the summer months. If traveling here from May – December, be prepared for hot heat! The temperatures climb to over 40 C in the daytime and the nights barely cool under 25 C. If you are someone who cannot handle the heat, I do not recommend visiting during these months as there is no relief from the heat. Visiting in different seasons was an experience in itself. I loved having the opportunity to see how the camp transformed over just a few months. While both experiences were otherworldly, if I was asked to choose what I would prefer, it would be August. I am a sucker for heat and desert-like adventure, so summer was definitely more suited for me. You will not go hungry at this camp. They serve an amazing selection of food for each meal of the day. Should you need a snack or water in between meals, they will be sure to feed you. If you stay for only 1 night, you will only enjoy a dinner and a breakfast. However, if more than one night, you will get to enjoy their lunch as well. Since there is no chance you will be on your phone at this camp (no WiFi and barely any signal) you will have to enjoy being disconnected. Rest assured there is plenty to do here to keep you busy. 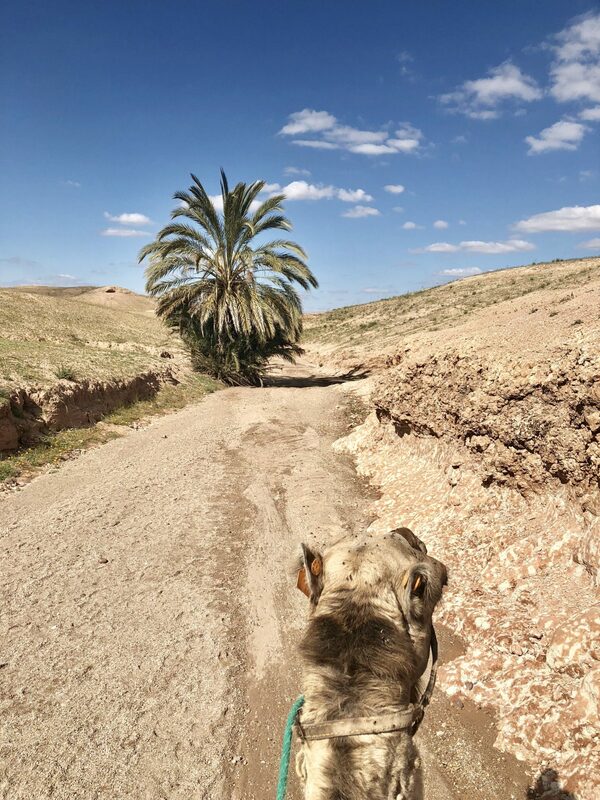 During the day they offer camel rides and horseback rides throughout the desert. If riding animals is not your thing, they also have dune buggies and quads to bring out in the desert as well. In addition to the desert tours, they offer massages during the day for ultimate relaxation. At night before dinner, they light a fire in the common area of the campground. Most guests hang out by the fire after dinner to socialize while gazing at the stars. 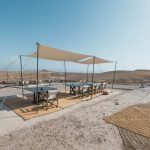 Would I recommend Scarabeo Camp? Absolutely! I think it’s a great experience all around and totally worth a 1-2 night visit. 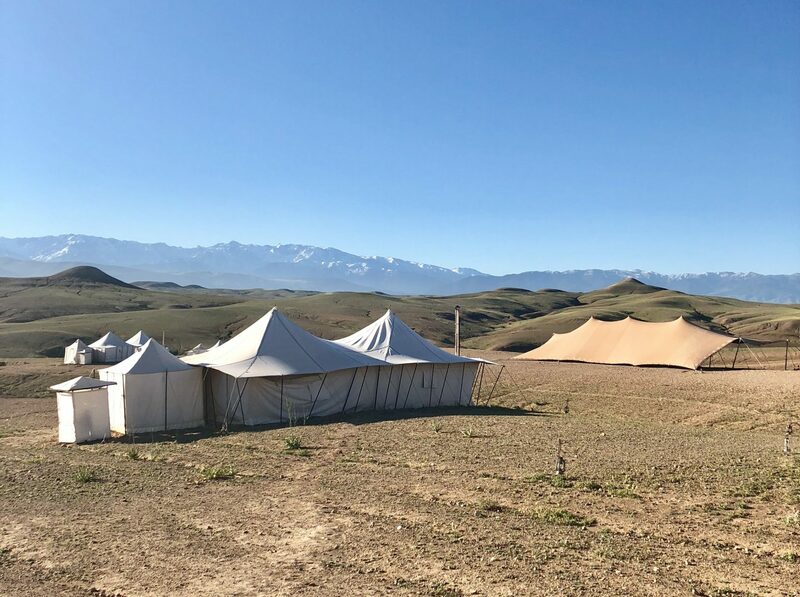 The camp is certainly an otherworldly experience and allows you to really connect with your surroundings and appreciate being disconnected from technology. 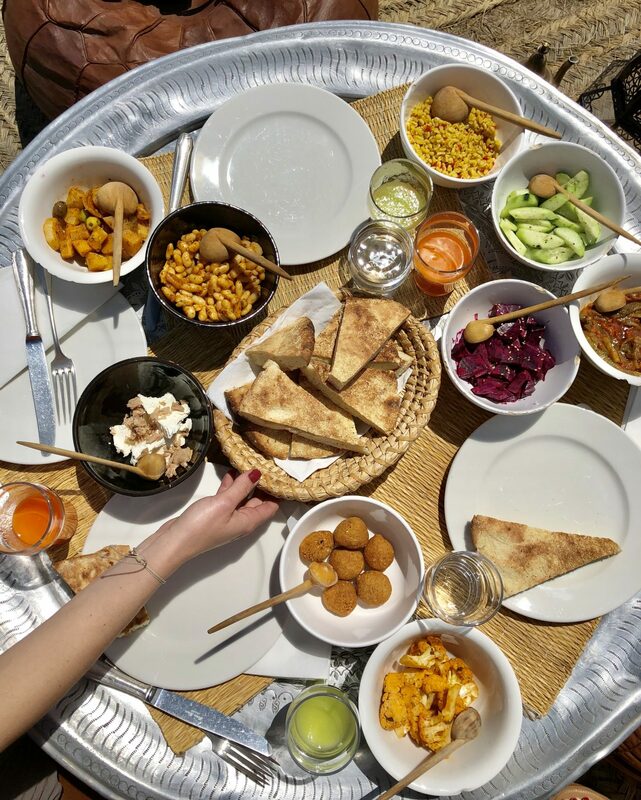 Being so close to Marrakech, it is easy to fit into your travel plans. Just make sure to prepare accordingly based on the time of year you are visiting. 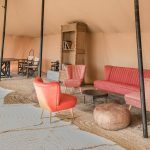 Are you considering a visit to Scarabeo Camp? Drop me a line below. I’m happy to answer any questions I may not have addressed in this post! I’m going in December. Do you think I should pack warm clothes for night?